Does the lack of cooperation between your team members limit their ability to achieve your organisation’s objectives? How effectively do they deal with the challenges they are faced with? What steps can you take to ensure that the working climate is conducive to problem-solving? The Team Builders Toolkit is a comprehensive programme designed to pull your team together and maximise its effectiveness. Based on a seven-stage decision-making process, the package features a series of games and exercises which will improve your team’s ability to make robust decisions and reap the benefits associated with great teamwork. A portfolio of games and activities. Materials for up to two groups of 3-6 members each. Needs between one and two hours per activity. Suitable as the basis of a series of workshops, or as the foundation for a 2-day course. Read more about this product below or download the Team Builders Toolkit information sheet. The Team Builders Toolkit is a wide-ranging programme based on a seven-stage problem-solving process. The purpose and value of each stage are introduced and a game or activity is then undertaken so that participants gain experience of how to improve team performance in each area. The programme also examines the importance of the working climate – what steps can a team take to ensure that the climate is conducive to problem-solving? Identify the key stages of the problem-solving process. Recognise where they are in the process and how to move forward effectively. Appreciate the relationship between the working climate of a group and its ability to make quality decisions. Become a more effective team through the common learning experience. The Team Builders Toolkit uses sequential and continuous activities to examine problem-solving and the working climate. The activities are presented in seven sequential stages and are a mix of games, simulations and exercises, each of which is specifically related either to one part of the decision-making process or to the creation of a cooperative working climate. Throughout these exercises, the working climate is under close scrutiny and players are supported in their efforts to respect the personal needs of all members, create a communicative climate, encourage individual contributions, listen to and understand others, recognise all constructive behaviour, and acknowledge different behavioural styles. Players will engage in each of the experiential activities, reflect on their performance, and share their experiences in a post-activity review led by the tutor. This will entail examining how they themselves behaved in relation to the task and towards other players. The subject matter of the exercises is not work-related so that general principles can be illustrated, and no one individual will have more knowledge than any other. 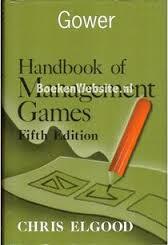 The package encourages self-analysis, open debate, and the considered formulation of strategy. It can be delivered over an extended period with each session lasting between one and two hours, or in its entirety over 2 days. The Toolkit can be used with participants from all backgrounds and all management levels. It can be used as the basis for a series of workshops addressing different areas (1 to 2 hours each) or as the foundation for a two-day course. The games and activities in the Team Builders Toolkit provide the basis for a course to develop problem-solving and team-working skills. The activities can be used sequentially over a period of time (a few short sessions over a period of weeks) or as a concentrated activity over a two-day period. Elgood can provide facilitation for a concentrated course either over two sequential days or two days spread over a longer period. An example of how a two-day programme might run is available. Please contact us for further information or download the Team Builders Toolkit information sheet.